Ben Layne, right, with the city of Marysville, works to connect this home on Third Street to the newly installed water line, as Jeff Wood looks on. 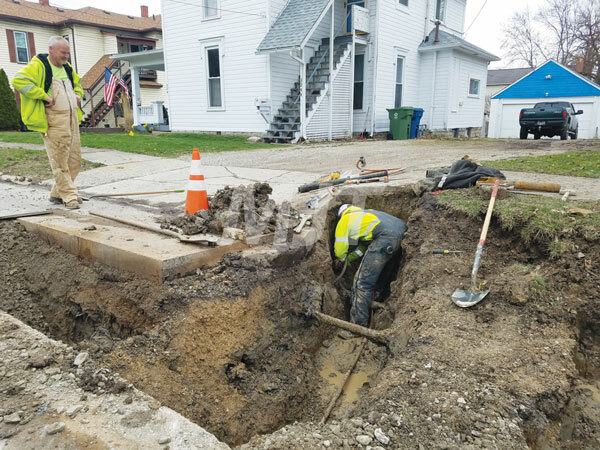 Officials have been working to connect all the homes from Main to Maple streets to the line. Officials said they work as they have time and as the weather permits.